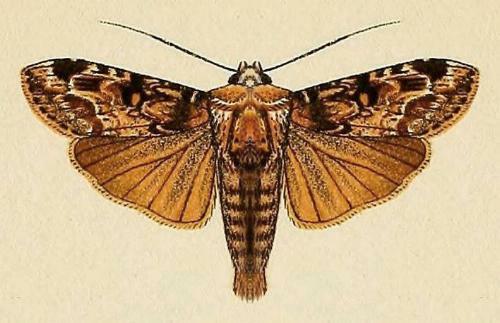 The forewings of the adult moths have patterns of light and dark brown on the wings, including a pale line across each wingtip. The adults are dimorphic, with male and female having different patterns, so that originally they were thought to be two different species. 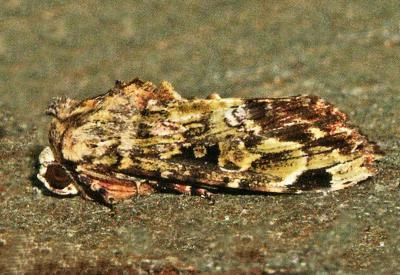 In particular: the female has a pale bar extending from the base to halfway across each forewing. 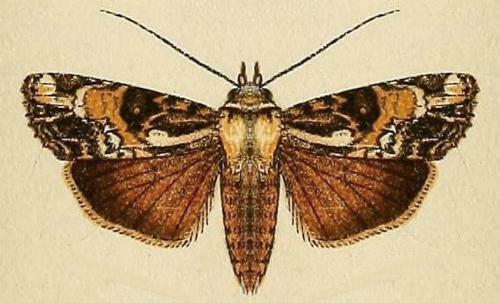 The hindwings are brown with dark veins. The wingspan is about 4 cms. The species has previously been placed in ACRONICTINAE. Volume 7 (1908), p. 55, No. 2791, and p. 57, No. 2793, and also Plate 109, figs. 7 & 9. LeapFrogOz, Kuranda, 2015, p. 121.